Following on from Part 1, Neil has complete his homework, watched some horror movies and meets up with film historian, CinePunk and horror fan Robert J.E. Simpson to continue their discussion around the connections between religion and horror. Films discussed include The Devil Rides Out, The Wicker Man, The Omen and The Exorcist which of course naturally leads to comaprisons with Brexit, Trump and the kids movie Small Foot (disclaimer: all Neil). You can check out more from Robert via CinePunked and be sure to check out their podcast on The Wicker Man! Also the collaborations continue as I’m going to be part of CinePunked’s new publication which is coming soon!! If you enjoyed the episode please consider supporting Films and Faith via Patreon. For this episode Neil chats with Alli Steen, creator of On Your Tod a space occupying the gap between singleness and the nuclear family. Neil and All chat about the single parenting representation in 80’s Spielberg classic E.T. and the recent Netflix Oscar contender Roma highlighting their similarities (no really) and insight into the single parent life. Alli is also a member of the team behind the Ballyclare Picture House, a community cinema initiative that has become a vital part of the local community. For more information about On Your Tod you can find them on Facebook, Twitter and Instagram. For more information on Ballyclare Picture House upcoming screenings and information you can check them out on Facebook, Twitter and Instagram too! Thanks for checking out the episode and as always if you’d like to support Films and Faith you can get exclusive content via our Patron page for just $1 p/month! This episode is a recording of the Banterflix screening of It’s A Wonderful Life held the Strand Arts Centre in Belfast on the 11th December 2018. 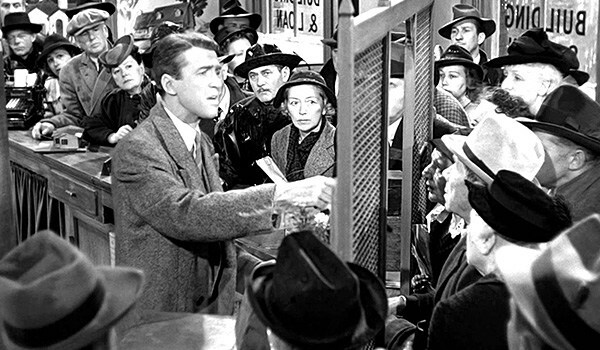 Jim and Neil chat about the themes of the film, if George Bailey’s life is predestined to always be in Bedford Falls and how this classic film helps restore our faith in the world and each every Christmas! On this episode Neil gets together with his cinema going comrade Richard for a trip to see Paul Schrader’s First Reformed. The pair then discuss the films themes, dissect some key scenes and have a little discussion about Thomas Merton and contemplative prayer (as you do)! For more thoughts the film you can see Neil’s review here. Also seek out Paul Schrader’s book on Transcendental Style for some insight into the mood and methodology of this style of film. A new episode where I talk to Andrew Morgan director of The Heretic a documentary depicting the life and work of Rob Bell. Neil and Andrew discuss the process, the story and the hope that the film brings. The film is also currently available on iTunes and Amazon. 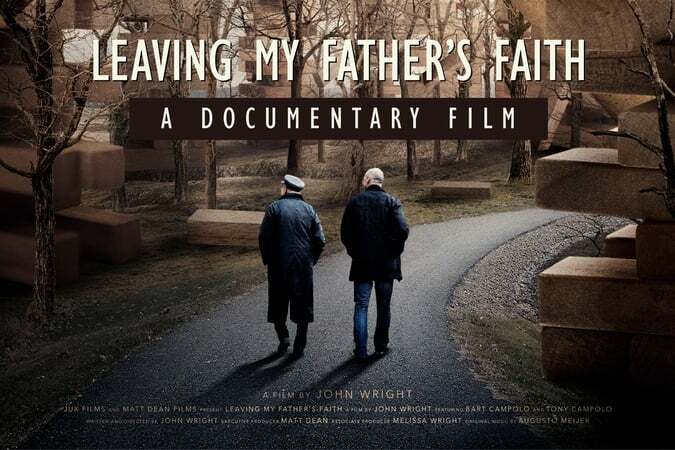 For this episode Neil chats to director, John Wright about his feature documentary Leaving My Father's Faith. The film documents the story of Bart Campolo and his coming away from Christianity into Humanism. Neil and John discuss the process of documenting this conversation and the creation of a film depicting the painful but warm exchange between a father and his son about belief, storytelling and the power of our relationships. More information on the film can be found at www.campolofilm.com and tickets for the premiere in Philadelphia can be purchased here and if your close by I would definitely recommend getting along. You can read Neil's full review of the film (previously known as Far From The Tree) here. For this episode Neil chats to director, author, podcaster and communicator Greg Fromholz about his series of short form documentaries depicting the lives of some of the most well known speakers, pastors and theologians of our times. The conversation focuses on the most recent of these 'Tony Campolo Divine Dissatisfaction' as Neil and Greg discuss the many different facets and difficulties of depicting a legacy into a short form film. You can find out more about Greg's work at his website. You can also support Greg's new project about the life of Dr. John Perkins via Kickstarter. For this episode Neil chats to Aaron Guthrie from New Notions Cinema about their project and the power of documentary film making. New Notions Cinema strives to tell and share sincere, honest, narrative-driven stories about our world. The goal is to be an evolving media collective about reflecting on our contemporary world, moving people and hopefully leading them to change or take action to change it. You can find out more about New Notions Cinema at their website and the I Daniel Blake screening article we mention is also available. Also, check out information about their next screening.